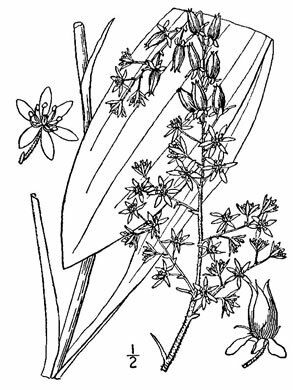 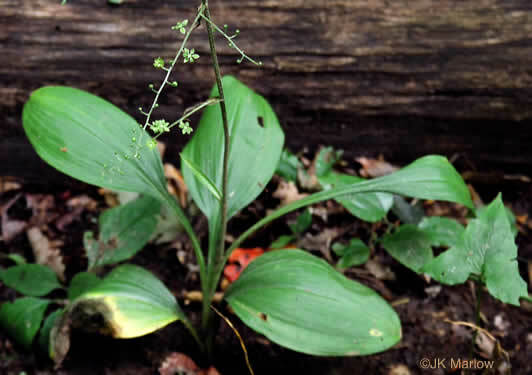 Clintonia umbellulata on the left; on the right is Veratrum parviflorum. 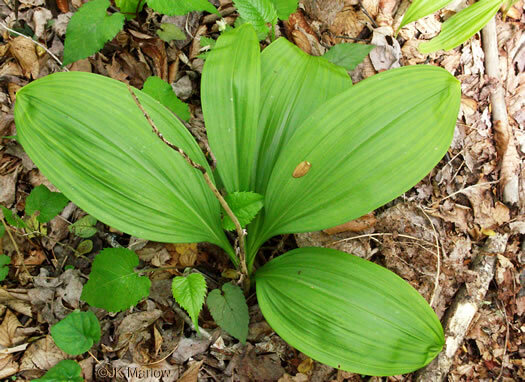 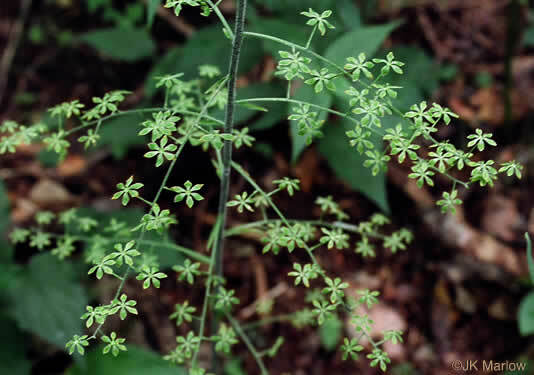 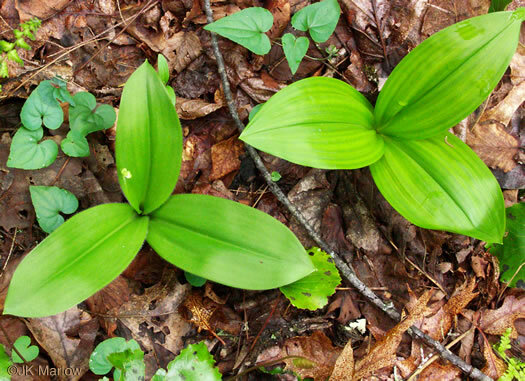 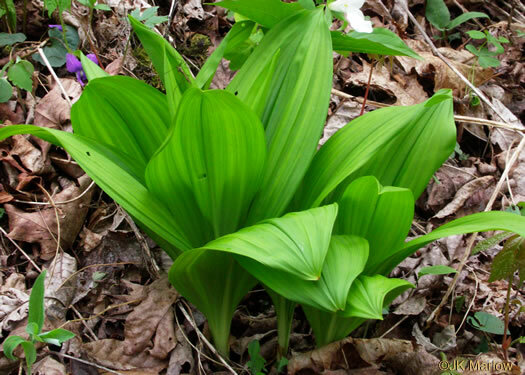 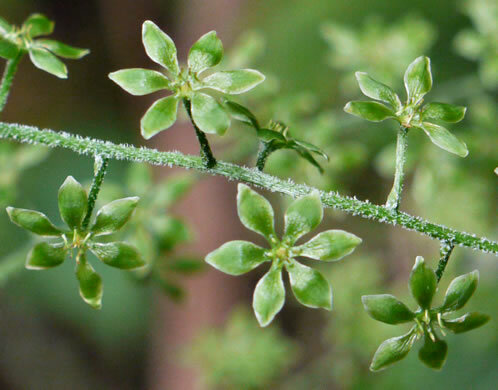 Leaves are elliptic, long-stalked, and under 8" long, per Wildflowers of the Southern Mountains. 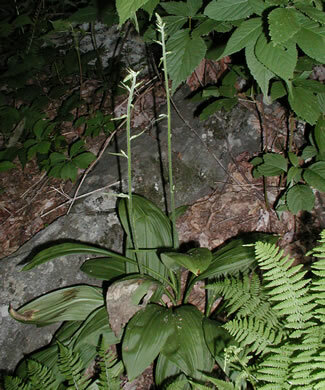 Perianth segments taper gradually to base, are not clawed, & have no glands, per Wildflowers of the Southern Mountains. 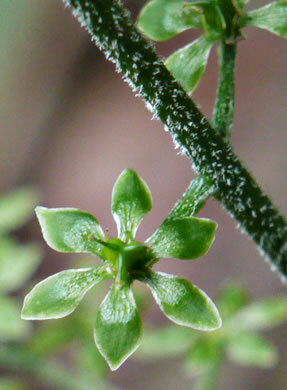 Tepals greenish-yellow to olive green, rhombic-oblanceolate, not clawed, per Flora of North America.